Yes, you read that correctly, September is right around the corner. Which means colder weather is coming too. So now is the time to start thinking about replacing those drafty windows. And what better time than during our September to Remember special. During the month of September ONLY, if you purchase 10 of our custom made windows, you receive a free patio door with blinds! Sounds like something you’re interested in? 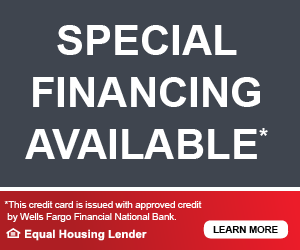 Great give us a call today! 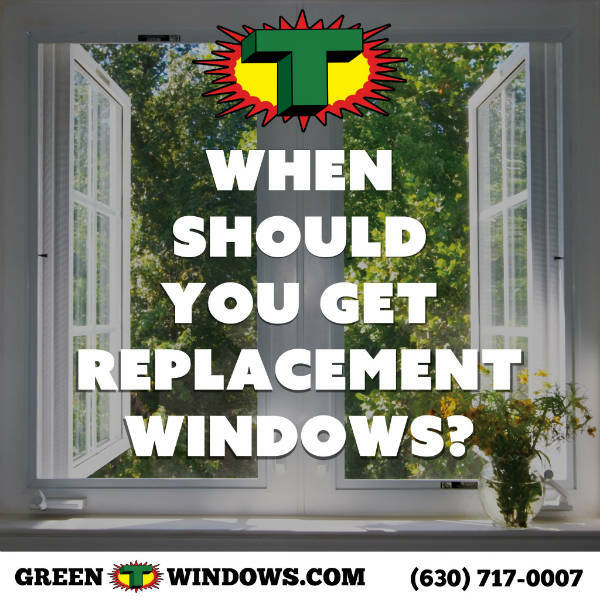 Now you might be asking yourself how do I know if I should replace my windows? Easy, here’s four reasons why you should replace your windows. 1. Brrrr…. That’s quite a breeze coming through. Drafty windows are never a good thing. They cause your energy bill to sky rocket, and can make relaxing around your house uncomfortable. To see if you have drafty windows, close windows tightly and see if you can feel a breeze or cold air coming through. You may think that it’s just a minor leak, however minor leak turns into big leaks. So replace them now before they cause bigger issues in the future. 2. You have difficulty shutting or opening your windows. 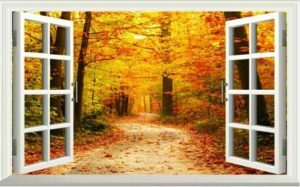 If you’re having difficulty opening or shutting chances are your frame is settling, which can lead to future structural damage over time by forcefully opening and closing the windows. You want to be able to enjoy the nice fall breeze that is right around the corner, let us help you enjoy all that fresh air by replacing those hard to open windows. 3. There’s moisture inside the window panes. This could be a sign that the window seal could have failed. Not only is the window now allowing moisture to get inside the window panes, the insulating value of the window is now generally reduced. Now keep in mind that if your seeing moisture on the outside of the glass this a pretty normal occurrence. We all feel like our own bills are outrageous, take a look again at your energy bills. Are your heating and cooling costs high? Low-energy efficient windows can be the cause. Replace those less efficient windows with one of our custom made ones and save during our September to Remember special and save money of heating costs this winter. We’ve compiled the best spring cleaning tips to keep your windows sparkling and looking their best. 1. Clean glass with a squeegee – Paper towels can leave traces of fibers and streaks. Using a squeegee eliminates those concerns and also decreases the amount of time spent getting a streak free finish. Use a soft cloth to dry your window if necessary. 2. Use your vacuum attachments – Using the narrowest vacuum attachment to clean your window tracks is the first step to clean window tracks! The vacuum should remove any large debris, dirt, and dust that may have accumulated over the winter. 3. Clean window tracks with a toothbrush – The best way to get in the groves and small corners of your window track is to use a toothbrush or old electric toothbrush and cleaning solution. Just make sure to label the toothbrush so no one tries to use it for teeth later! 4. Use vinegar as a cleaner – using a solution that is 1 part vinegar to 2 or 3 parts water does a great job gently cleaning your dirty windows with supplies that may already be in your home. Bonus: it’s pet and kid safe. 5. Clean screens with a garden hose – Take screens off windows and lay in grass or other non-muddy surface outdoors (make sure you have an organizing system so they go back on their proper windows) Use the strongest wash setting on your garden hose to clean your screens in record time. Use a scrub brush to get any tough, grimy spots. When one side of your screen dry, flip and repeat. 6. Refresh your curtains – Toss your curtains in the dryer on the air-fluff cycle for 10 -15 minutes and hang immediately for a quick refresh that perfectly frames your windows. 7. A throwback tip – give your windows an extra buff shine with a crumpled newspaper. Run the crumpled paper over your window a few times. This tip is an oldie, but a goodie! 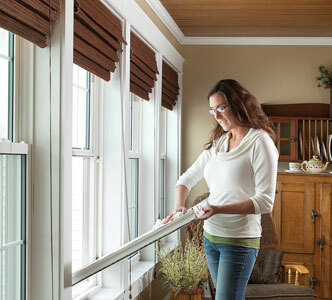 Ready for new energy efficient windows? The windows and doors of a home are much more than just a point of entrance and a portal to let in the sunshine and summer breeze, in the case of an emergency they are also a means of escape or rescue. It is important for homeowners to view their doors and windows in this way so that if an emergency occurs, they can use their doors and even windows as an escape route. It is recommended that families devise a plan of escape in case of an emergency such as a fire and consider these tips for making doors and windows especially a safer means of escape. Planting shrubs or laying wood chips under a window can help break a fall if the window is needed as an escape route. Windows and doors should always be locked in households with small children. For ventilation, open windows that are out of the reach of children. Keeping beds and other furniture away from windows will not only help prevent children from climbing through them, but also keep the area clear if the window is needed for an escape. Window and door treatments with cords such as blinds and drapes should be kept out of the reach of children. Do not ever paint, nail, or weather strip a window shut in case it is needed to escape an emergency. In addition to following these safety tips concerning windows, homeowners should also have smoke detectors and carbon monoxide detectors to warn their families of any danger. These pre-cautions along with a well devised escape plan will help families safely avoid emergencies by getting themselves out of danger by using their doors and windows.